The Irish government is now accepting applications for Government of Ireland – International Education Scholarships (GOI-IES) for the year 2019-2020. The Government of Ireland Scholarships 2019-2020 is for students from non-EU/EEA countries. The internationalization of Irish higher education is a key element in the delivery of a quality teaching, learning and research experience for students and staff and for building international engagement for the sector. The aim of the 2019 Government of Ireland Scholarships scheme is to reflect Ireland’s engagement in target partner countries. 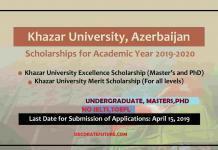 The scheme is operated in the higher education sector and funded in partnership between the Government and the higher education institutions (HEIs). The Government of Ireland – International Education Scholarship (GOI-IES) scheme was established under the provisions of the Government’s International Education Strategy, 2010–2015 and expanded under the successor strategy. 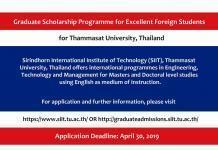 It is expected that a total of 60 scholarships will be funded by the Government of Ireland International Education Scholarships for the academic year 2019/2020. 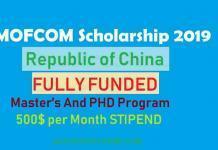 Scholarships may be approved for study across all disciplines, subject to the availability of places. To strengthen the internationalisation strategies of HEIs especially in the context of the system performance framework. The scheme is managed by the Higher Education Authority (HEA), on behalf of the Department of Education and Skills. Following a competitive process based on an annual call for proposals from individual applicants, the HEA will approve a defined number of scholarships under the scheme to successful applicants. The HEA will award a scholarship fund to the student amounting to €10,000 for one study year. 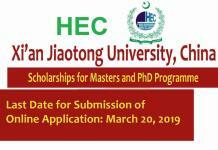 Applicants will need to apply for admission to a relevant Bachelor, Master or PhD programme offered by an eligible Higher Education Institution as per that HEI’s admission procedures. 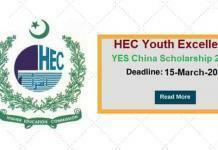 Applicants are expected to have a conditional or final offer of admission to the HEI at the time of application and will be required to submit a copy of same. Should an applicant be in receipt of more than one offer, separate applications may be submitted for each course offer. Final offers will be subject to admission to the relevant HEI. Applicants should make enquiries directly to the relevant institution prior to submission of an application to the HEA. Eligible students are invited to submit applications to the HEA via the official online application process (Link Given Below). A marking system (total 100 marks) is part of the call with the relevant scores shown in brackets after the key selection criteria. The extent to which they have a long-term interest in Ireland and how they will promote links with Ireland during their time as Scholars and also after as Alumni. The Call for Applications is now live and accepting applications. The HEA will advise the applicants and the HEIs of the outcome of theevaluation process by 31 May 2019.